1. Light the barbecue. Wash the eggplant, pat dry, and cut across into slices of 1cm. Peel and crush the garlic in a mortar with 1 teaspoon salt. Stir in the oil. 2. Crush the peppercorns in a mortar and mix with the oregano, thyme, and ground paprika. 3. 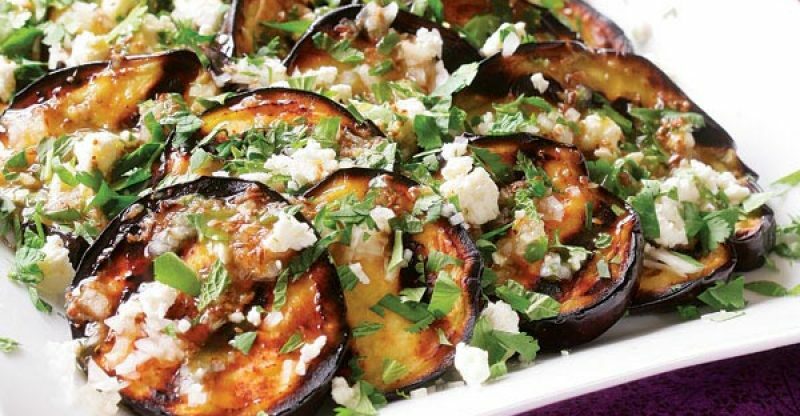 Brush the eggplant slices on both sides with the garlic oil, Place on the barbecue and grill until golden. Turn the eggplant sprinkle with the mixed herbs and finish cooking. Modern eggplant varieties contain hardly any bitter substances. However, to be on the safe side they can be sliced sprinkled with salt and left fot 30 minutes. Lose weight, and gain agility with weight loss yoga exercises! 25 minute workout for nice and flat belly!